If you want your practice to be a success this New Year, you need to first define what that means. You cannot measure your success without a target, and that starts with goal setting. 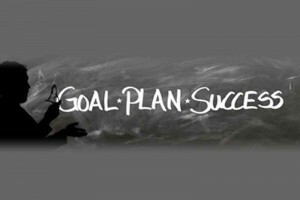 All practice owners have a broad sense of what it means to set goals. Especially during this time of year, these usually take the form of ‘resolutions’ that unfortunately often get forgotten by … about now. The reason? Because many of us tend to be very unrealistic when it comes to goal setting. As detrimental as that can be to us individually, setting the bar too high can be fatal to a healthcare practice in need of growth. The key to practice goals is not only to set them, but to set ‘achievable goals’. The biggest difference between a ‘resolution’ and a ‘goal’ is that a resolution is something you make with the best of intentions, but it usually is nothing more than a wish – without any kind of plan. An ‘achievable goal’ on the other hand, is not only something you want as a desired outcome, but also something you have put some concrete planning into in order to bring it into being. Practice owners sometimes make practice goals that serve little practical purpose. To be relevant, a practice goal should be profitable in some way. That doesn’t mean that every goal needs to be measured in dollars and cents, but should be ‘profitable’ in doing something specific to stimulate practice growth. You need to dream big and set your goals for the long term, but set goals that can be broken down to intermittent steps and sub-goals. This will help you develop a specific road map with milestones towards achieving that goal. This follows the last tip. By setting up an incremental timeline of actionable steps and achievements towards your long term goal, it will make it easier to both start and cross the finish line. yearly marketing plans really come in handy here! Many business gurus have broken the above five business goals setting concepts into the memorable acronym – SMART. In healthcare practice management ‘SMART’ goal setting needs to be: Specific, Measurable, Achievable, Realistic and Time Framed.